Each cyclist must raise a minimum of $3,000 to participate. The ride, which it&apos;s estimated will raise $10 million for AIDS charities this year, goes 545 miles from San Francisco to Los Angeles. 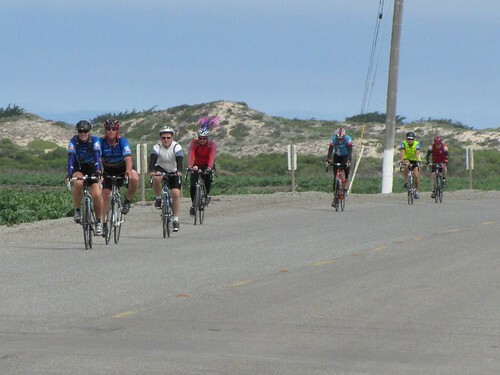 Cyclists rode a route that took them through Moss Landing, past the sand dunes and farms near Castroville... ...and past Pezzini Farm, where hundreds stopped for deep-fried artichokes. 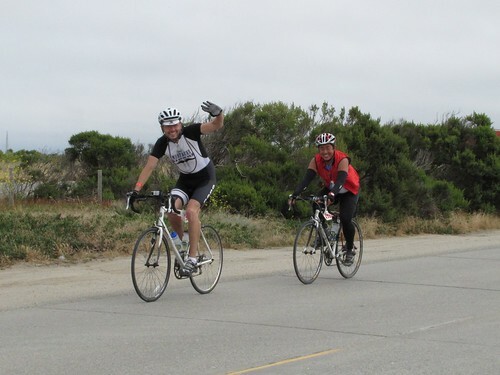 The cyclists on the AIDS/Lifecycle ride were overwhelmingly cheerful and positive, whether they were chatting at a rest stop or waving with a smile as bystanders cheered them on. 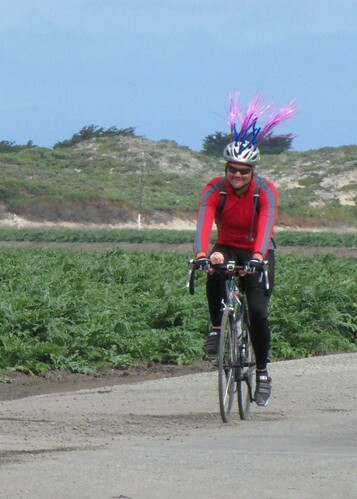 Many cyclists decorate their helmets or ride in costume. Riders pressed on via back roads into Marina, where a local Girl Scout troop sponsored a rest stop. 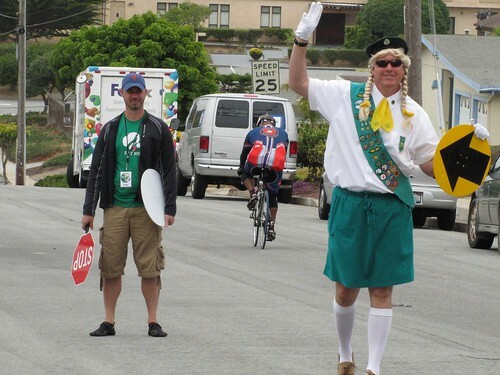 In their honor, some of the traffic directors dressed as Girl Scouts. 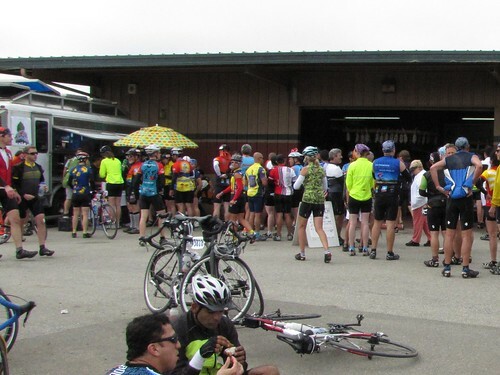 Some riders took a break... but some just headed on to Central Park in Salinas, where lunch took place, and then headed through the Salinas Valley. 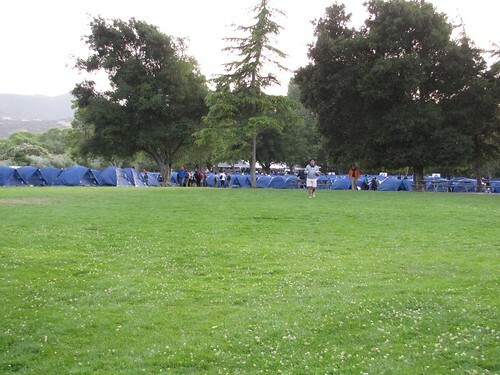 The cyclists camped in King City&apos;s San Lorenzo Park for the night. Both the magnitude and the efficiency of the camping operation are astounding. About 500 volunteers, the "roadies," start at 5:30am, hand out bikes and get the cyclists on the road, break down bike parking, drive to the next location, set it all up again, and then welcome the cyclists back until nightfall. Cyclist Clair High, who came from Atlanta to participate in the event, said, "The roadies are really the heroes here. We just ride our bikes. The roadies do the hard work." Cyclists must set up their own tent. There&apos;s two cyclists (or roadies) to a tent, which translates to almost 1,500 tents total. It was impossible to capture them all in one photo. In the evening, cyclists gather under a huge shade tent to eat dinner. Speakers give information on the next day&apos;s ride and tell moving stories about the triumphs and trials of the event, as well as sometimes funny stories of rides past. Even riders who ate dinner hours before join the group in order to hear the stories and lend their support. 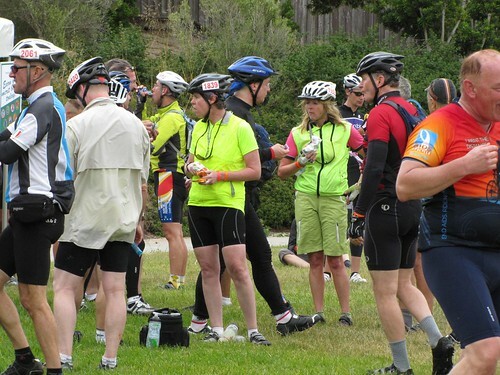 To learn more about the AIDS/Lifecycle ride through Monterey County yesterday, see this article in The Californian. 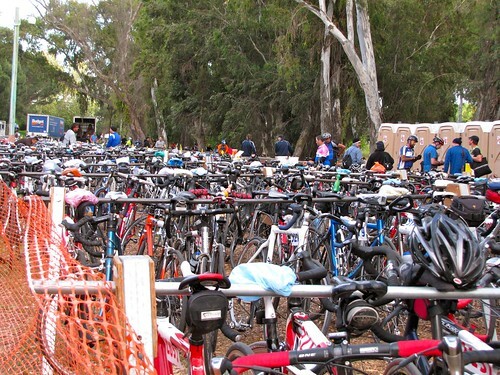 For more information about the AIDS/Lifecycle event, see the official website. For more photos, see our AIDS/Lifecycle Flickr set.